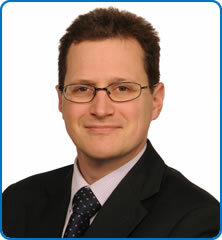 Mr Richard Baker is a consultant trauma and orthopaedic surgeon with a specialist interest in hip and knee replacements. He trained in Bristol and undertook a world renowned fellowship in Vancouver, British Columbia. His interests include the management of infected joints, peri-prosthetic fractures and the revision of failed hip and knee replacements.